"NLP+ is the definitive course on Persuasion - comprehensive, insightful, and - most important - honest"
What will you learn in these lessons? Here's an outline of what we'll give you - over ten hours of professional persuasion material. 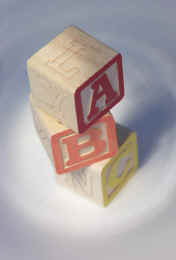 The material progresses from the most simple and basic building blocks of NLP Plus up to more advanced methods. The material is designed to be learned quickly and easily, regardless of your level of experience. This is where you learn the basics. Rapport is the Core. When you learn Rapport correctly, using Breath Body Mind Motion, you create warm relationships and honest conversations. This module demonstrates rapport with animated examples. No prior knowledge required. Ah, Confidence! We all want it, don't we? With this valuable module unveils a fresh and unique way of achieving compelling confidence by learning rock-solid self-control, and applies it to yourself quickly and cleanly. This module has visual demonstrations of the right and wrong ways of creating personal and compelling confidence. The technophobes are simple and easy for anyone to learn, regardless of ability. Classical NLP calls these "anchors". In NLP PLUS, they are much more flexible - and much more powerful. In this lesson you will see animated instructions that demonstrate, in real time, the four crucial Triggers/anchors. Whether you call them affirmations, mantras, or prayers, this method of self-change is as old as the pyramids. With NLP PLUS you'll first create very intense body and mind changes, and then you'll say your affirmation in a way that creates unique physical and mental sensations. We'll also get into developing your personal values based upon compassion and justice. This module contains sound. Speaking with Confidence comes from the proper use of relaxed breath. Here we reveal vocal techniques used by the best singers and actors. We show you that breath control is mandatory for compelling speech, correct body posture and neck position gives your words impact, appropriate direction and openness of your mind adds punch to your words, and how word motion adds a nice dash of happy persuasion. We show you how to do the George Clooney croon, and the Britney Spears growl. A powerful and compelling voice is deep, enunciates, laughing, and expectant. There is a polished smoothness to the vowels. Ever hear about people that can entrance an audience by merely reading the telephone directory? After this lesson, even small talk will demand attention. Here you'll get into pacing a person's mode of thought, and then gently lead them using non-intrusive, friendly techniques. You'll do this by offering them a choice, and making that choice the most relaxing and pleasurable choice available. (note: this is not manipulation). This module includes advanced confidence, self-control by controlling your own feelings, and advanced leading though more overt techniques. Some techniques here are very intrusive and require confidence in developing your own personal values and sense of ethics. This is a carefully researched system with an amazing track record! You can buy immediate access to these NLP PLUS lessons here. Time doesn`t heal pain. Resolution and closure heals pain.